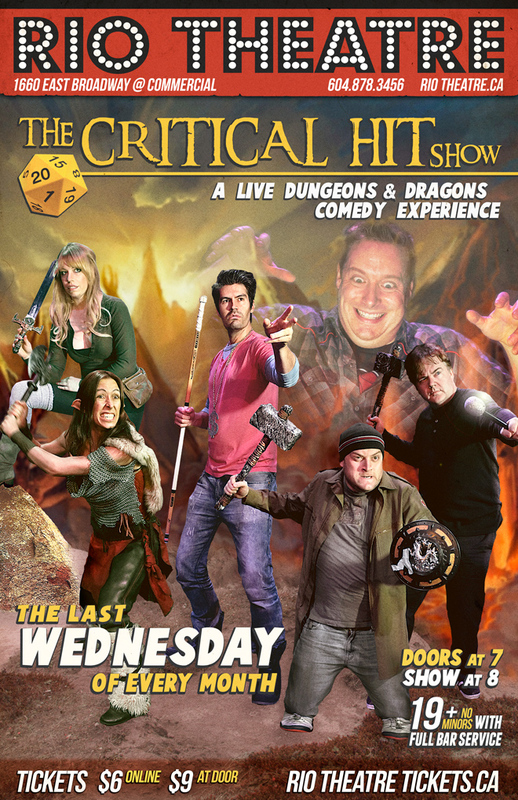 Tonight at 8pm is the latest installment of The Critical Hit Show at The Rio Theatre in Vancouver! Come see the smash hit comedy show based on your Favorite Fantasy Role-Playing Game! Normally it’s the last Wednesday of the month, but it’s on a Very Special Date…. TONIGHT! All the info you can eat is right here! Except the date. It’s tonight. May 15th.